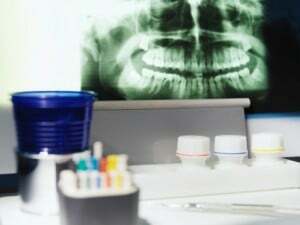 When we think of dental procedures, what typically comes to mind? If you’re like most people, you think of drilling, jaw-shaking vibrations, and uncomfortable heat. And you cringe. However, times have changed. Dentists in Miami, and professionals nationwide, are now employing exciting new technologies that provide the very same dental procedures with added comfort, convenience, and precision. And patients couldn’t be happier. The laser has revolutionized medical procedures, offering a solution for most anything from tattoo removal to vision correction. Dentistry has likewise benefited since the advent of the laser. Waterlase Dentistry, for example, is a favorite among dental professionals when it comes to new technology. Waterlase combines the gentle sensation of water with the precision of laser technology to deliver a means of plaque removal that most patients will find extremely comfortable. Waterlase uses a combination of water bursts and a laser to perform many dental procedures, instead of high pressure drilling. Waterlase is minimally invasive, removing tooth decay without excessive pressure and heat. Because plaque is removed without excessive drilling, more of the tooth structure is left in tact, promoting superior oral health and longevity. Because Waterlase is gentle, patients require less anesthetic. This means fewer needles, and fewer post-op numb lips. Waterlase technology has a wide range of applications including the removal of tooth enamel decay, bone, and gum tissue. Comfortable, convenient, and precise, Waterlase technology has expanded the ability of Miami dentists to treat their patients. Patients now receive comfortable and precise treatments from their family dentist, instead of being referred to another professional with whom they are unfamiliar. Assure a Smile excitedly offers Waterlase Dentistry and we encourage patients to contact one of our professional for more information on available procedures.